Virtual reality is an incredible technology that allows the user to be totally immersed into 3D, interactive simulations. This technology has recently become much more relevant in the healthcare industry and is now used for hospital design, provides certain patient care solutions and can serve as an effective training experience for staff. 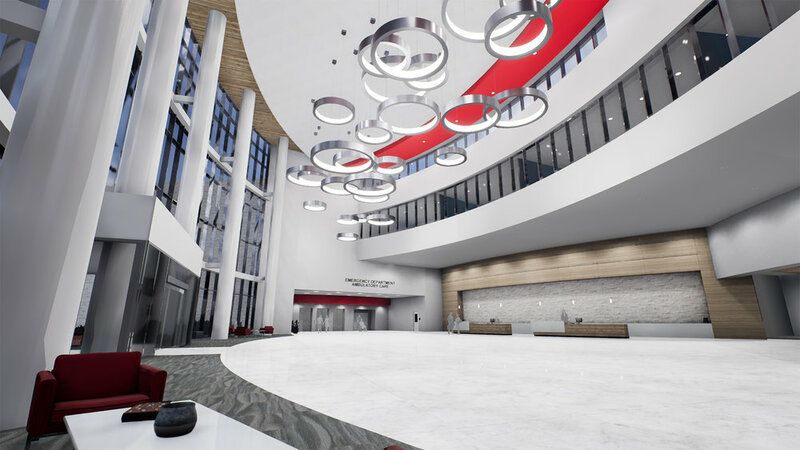 Cardinal Health worked hand-in-hand with Pulse Design Group to launch a new Virtual Reality customer experience for Cardinal Health’s Inventory Management Sales Solution. This exciting new tool is specifically designed to increase sales, shorten the sales cycle, and further position Cardinal Health as an innovative leader in the healthcare industry. This virtual experience takes Cardinal Health customers through several different simulations within selected hospital environments where the Cardinal Health Inventory Management Solution (CIMS) would typically be used. For example, within the Product Registration Module users will be transported to the sterile core of a virtual hospital to experience the ease and speed by which products are registered with RFID tags while using the Inventory Management Solution. Each CIMS sales representative and sales consultant received a virtual reality headset along with pre-loaded proprietary software to be used as a sales tool in the field with prospective customers. CIMS representatives will be trained on VR to help them advance the CIMS sales process and increase customer understanding of the breadth and ease of use of this solution. This tool will help further engage prospective customers by providing them with an immersive, memorable, and unique experience, all while shortening the sales cycle by gaining stakeholder alignment through consistent experience.